The media people. Spot any celebrities? 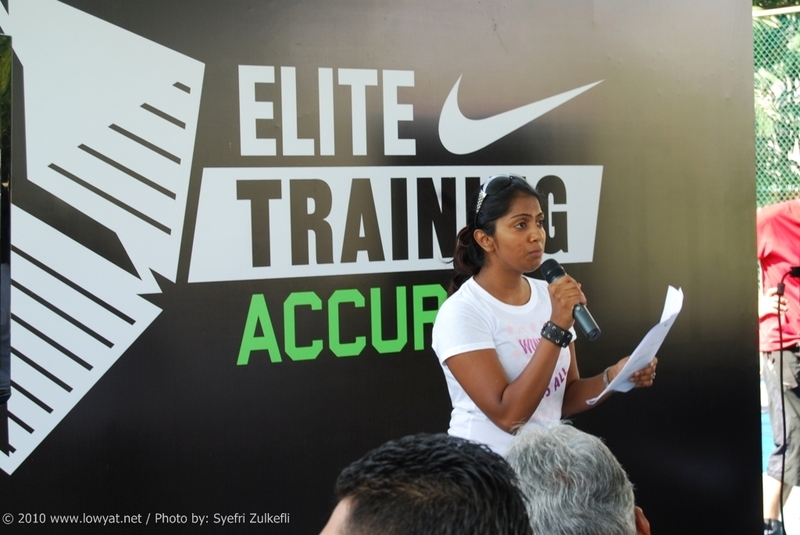 Marketing Manager of Nike Malaysia, Menaha Nadaraja welcomed the soon to be "masak" jornos to the camp. 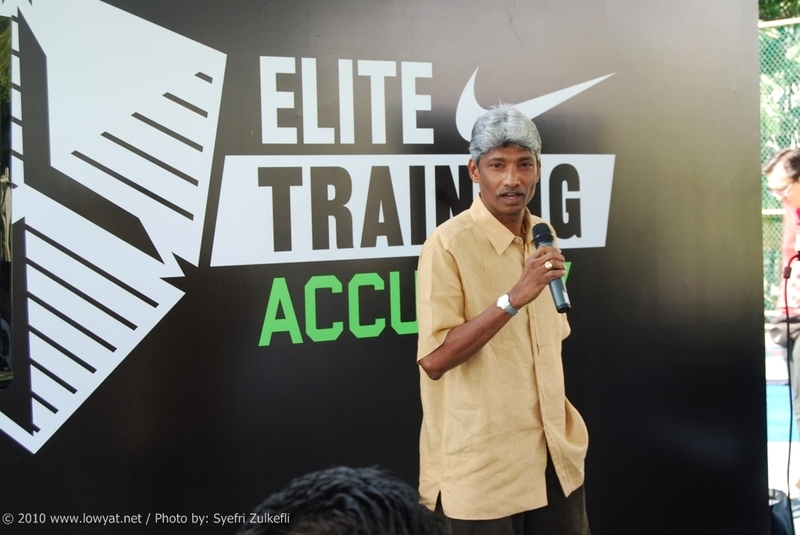 Tu dia, Coach Raja...our national football coach. Giving some motivational speech, hehehe~. Man, Coach can really speak. I was really impressed. 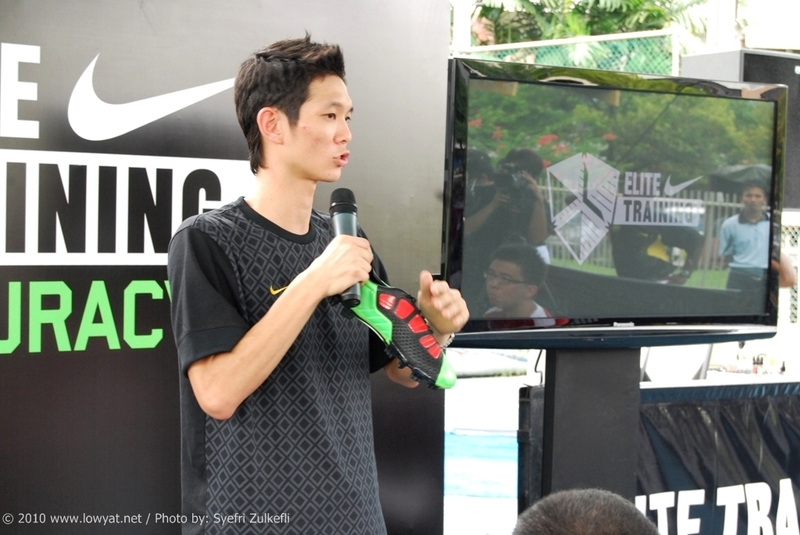 Nike Malaysia's Product Specialist, Wong Li Zren explained the tech of T90 Laser III that we media folks used during the training. "We going to treat you just like a real football player." 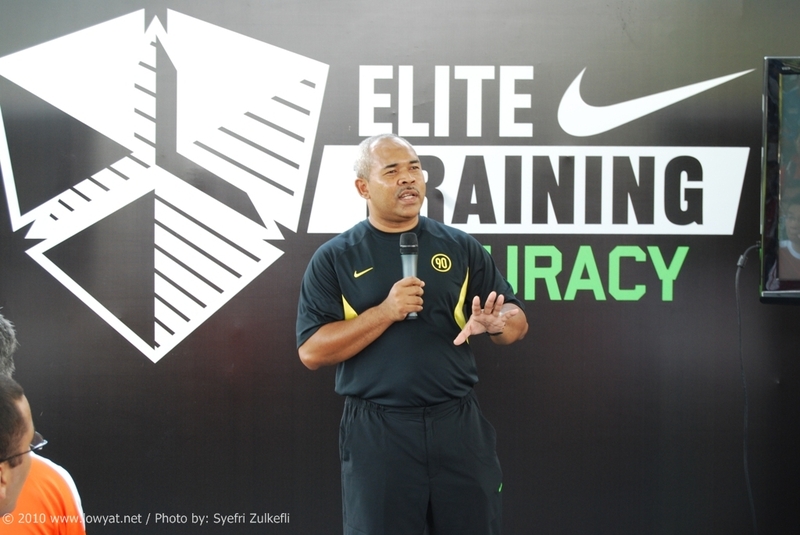 - Coach Aminuddin of Sekolah Sukan Bukit Jalil, chief coach of the program. Another sign that we going to kena masak on the field. 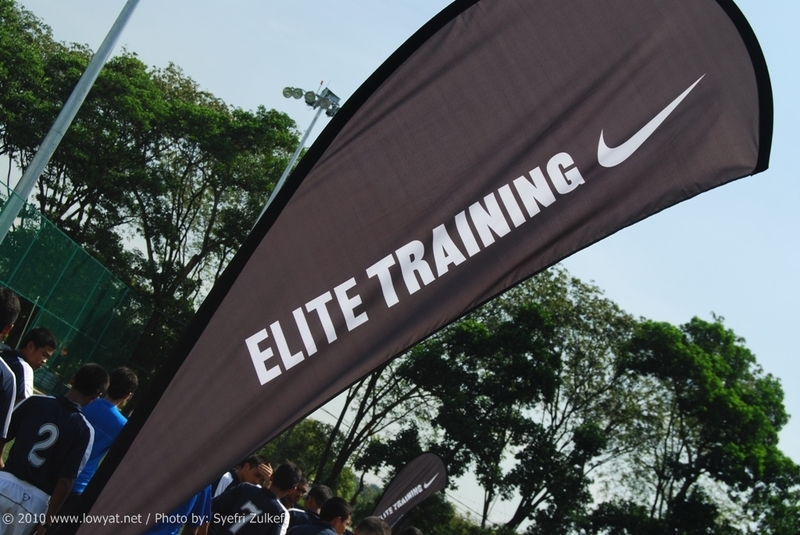 Pre-training video briefing from the Nike Football+ program. This what made the interactive coaching program so awesome as you load them up to iPhone or iPod Touch to be viewed anywhere. 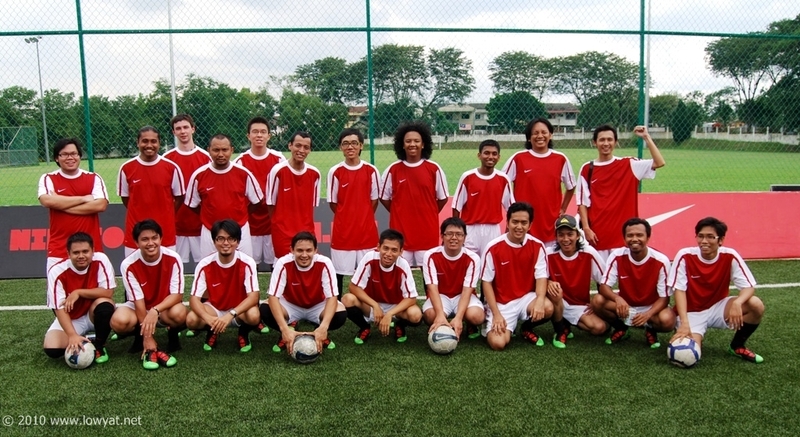 Introducing, my team mates during the training. In blue are the kids from Sekolah Menengah Raja Abdullah, KL; while in red are journos, of course. Very nice peeps, all. Srs bizniz here. Thus, the undivided attention. Man, I look nice and horrible at the same time. Another group photo; this time, everybody included! More at Lowyat.NET Flickr gallery (http://bit.ly/9mwpde). Overall, it was an awesome experience. 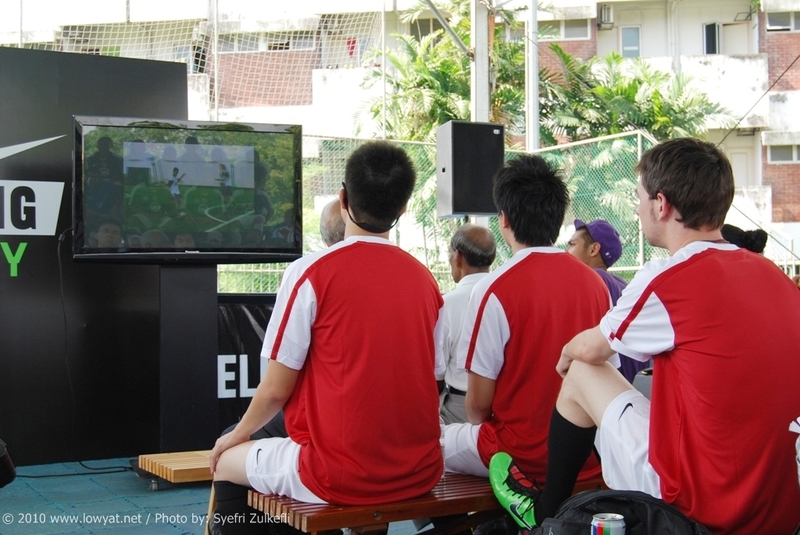 Wish I could experience when I was younger...but then, isn't that mean I should already be a professional footballer now? Impossible, LOL.